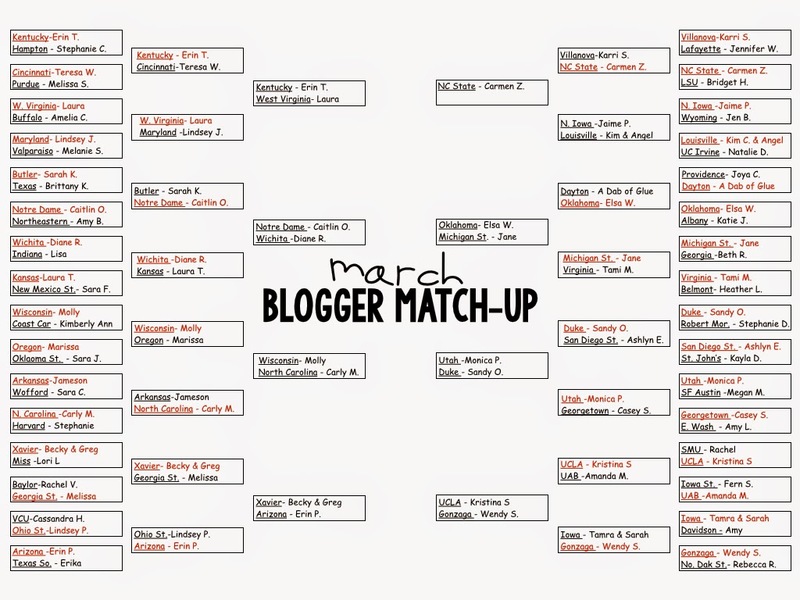 Congratulations Meredith Malik for winning the March Blogger Match Up Giveaway! I'm also linking up with the always fabulous Farley for April's Currently. This may be a record for how early in the month I am linking up. The month of March typically creeps on by. Between catching up and getting back into some semblance of a routine, St, Patrick's Day, assemblies, birthdays galore, party prep, and now PARCC (tomorrow!!) things sure have been crazy! 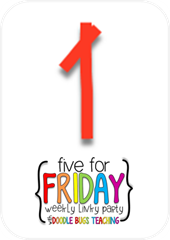 I'll blog later about our Countdown to PARCC balloon surprise which has made our test prep all the more exciting. 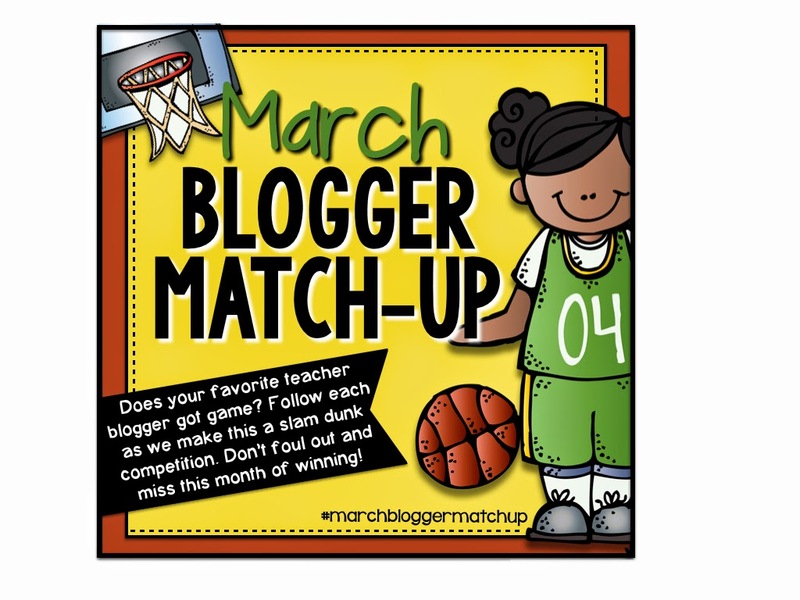 Ashlyn from The Creative Classroom was sweet enough to start a March Blogger Match-Up in the spirit of March Madness. Unfortunately my cheerleading for SMU this week fell short...and you have a chance to win! Kristina, at Owl-ways Learning, and her UCLA Bruins (not to be confused with our Boston Bruins) played a fair game and came out on top! Enter the giveaway The giveaway has closed and a winner has been randomly chosen! to choose any TWO of my TPT products for freeeeee! 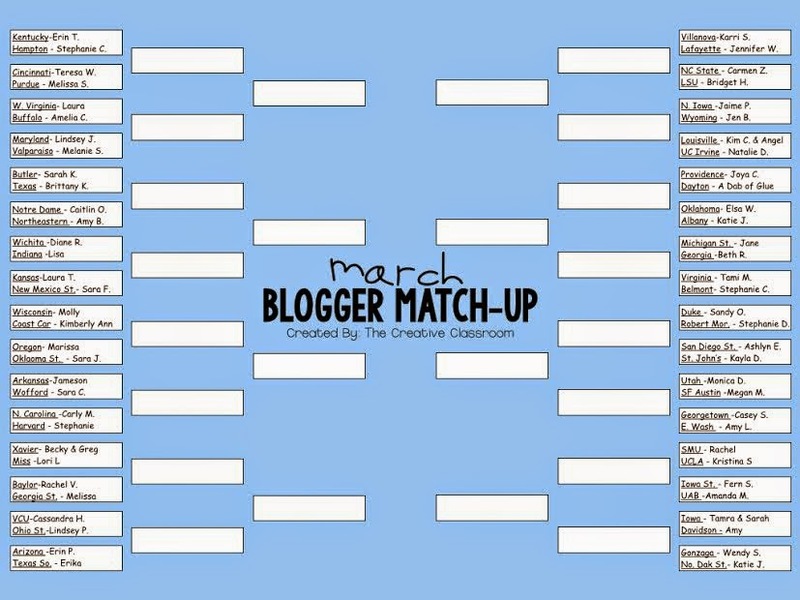 Check out these other fabulous bloggers taking part in the March Blogger Match-Up. If they've been eliminated, hop on over to their blog for a chance to win one of their TPT products! 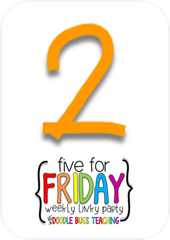 I'll be back later this week with an update on all things third grade....and cupcakes! 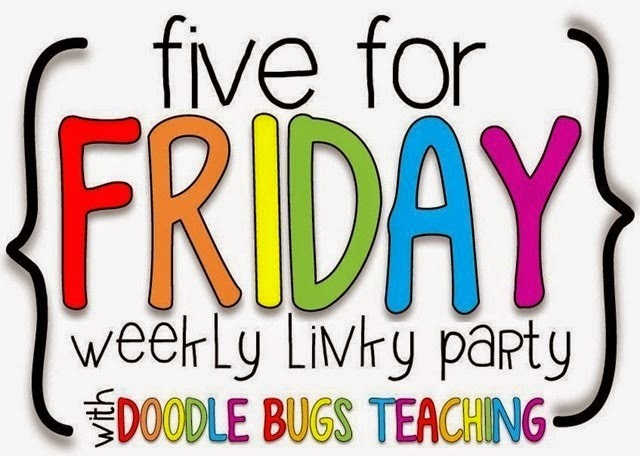 I am linking up with Doodle Bugs Teaching for Five for Friday... on a Monday. A family-school connection and regular communication has always been important to me. Since my first year, I have created and published a weekly newsletter sent home to parents and guardians in the students' Thursday communication folder. The idea came from the most fabulous teacher I worked with while completing my full practicum teaching as a senior at Boston College. 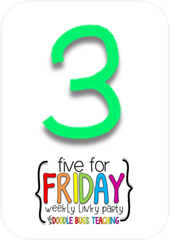 She, too, had a weekly newsletter, called Peek at the Week, where she would summarize student learning and activities as well as highlight birthdays and special events. What began as The Crock Pot is now Mack's Marinade. Just this year I have added a Tech Corner to highlight recommended apps or websites for students to use at home. Not only can I refer to last year's editions and often do some copy and paste action to make newsletter-writing less daunting, but I always enjoy looking back and recalling units, activities, and read alouds I may have forgotten. 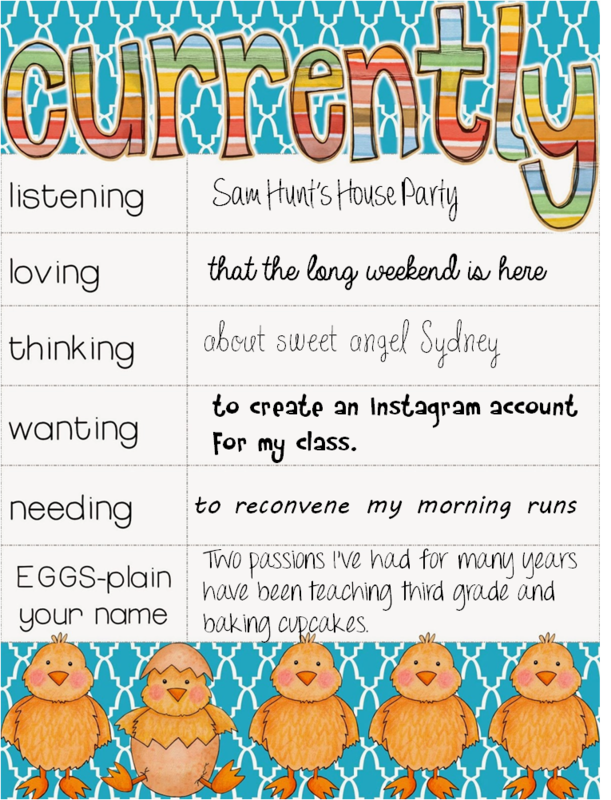 Another regular teacher-family communication tool I use is Twitter. Parents, students, faculty members, and administration follow me. I am able to share photographs of student learning in action, read alouds, valuable anchor charts to be used as references, reminders about special events, and maintain two-way communication with families--a key component in our new teacher evaluation system. If you don't already, please consider following me @MrsMacksGrade3. I have a privacy setting in place to prevent public access to photographs of students. For a peek into our very busy days, hop on over! 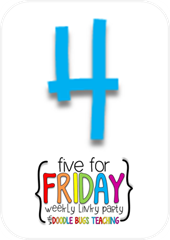 (I also love Twitter for the connections I have made with other bloggers and resources I have come across through @GoNoodle, @Wonderopolis, as well as inspiration for activities from school and district peers. The fabulous world of Instagram introduced to me the website Schoola. With a referral link from a Free Stuff Finder's post, I was granted a $15 credit. I purchased two like-new Carter's tops for Lady K for a total of $13.20 but paid nothing with the credit. Even better, a portion of the purchase when to 2 schools--Clairemont Elementary in Decatur, GA and Johnnycake Corners Elementary in Galena, OH. This week we concluded our review of collective nouns and incorporated technology into a culminating activity. Using their Google Doc accounts, students composed a page, or two, for a class book that will serve as a collection of collective nouns. (Now that's a mouthful!) We learned how to name a document, insert an image, align it, add text, and enhance the font, size, and color of the text. They're coming along beautifully! A fabulous Pinterest find has developed into a four year party tradition. blog called A Bushel and a Peck. This a great video montage of the history, and laughs, behind Oprah's famous Favorite Things episodes. Another variation is how many items you request that guests bring and the price limit. For three years, we asked guests to bring 5 of their favorite items costing around $5 each. Guests could bring 5 identical items or 5 different items. (Think lip gloss, mascara, snack, flower, magazine, gift card for Starbucks, Target, ice cream...) This year we changed things up a bit and asked guests to bring only 3 favorite things--costing around $10 each. They don't have to be wrapped. As guests arrived this year, we asked each person to write their name on 3 pieces of paper. They folded them and dropped them in the Favorite Things pail. In the spirit of all things winter wonderland, we asked guests to record their famous spring activity on a purple tag, with their name, and drop that in the Swag Bag pail. It's not a party without good eats! After drinks and delicious appetizers, we passed the Favorite Things pail around and each guest blindly chose 3 names. (If they chose a person's name twice, or their own, they would pick again until they had 3 different names.) If all goes as planned, once everyone has chosen, no names should remain in the pail. Now, it was time to exchange! Each guest takes a turn describing or explaining their three items and why they chose it. (Some items this year were travel magazines, an innovative garlic press, the cutest file folders and notepads, a flexible grilling skewer, gift cards for Target, books, and small serving dishes.) They announce the three names they had pulled and those three guests get to choose one item from the selection. My three favorite things were colorful picture frames and $10 to spend at Shutterfly! Once everyone has shared and exchanged their favorite things, all guests have now received three new items. I always stock up on reusable tote bags from TJ Maxx, Marshalls, or Christmas Tree Shop. These tote bags double as favors. Guests can tote their new favorite things home in their new bags! Each year I hear about new book titles, unique wines, kitchen gadgets, cooking recipes, and cosmetics. More than that, I get to know my guests a little better each year as they share their favorite things. And these were my spoils!